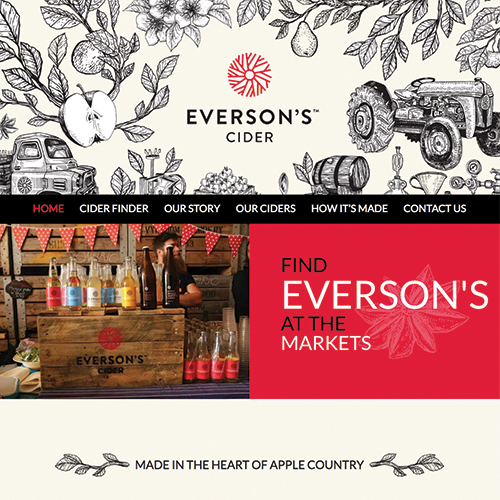 Everson's Cider is one of South Africa's leading Cider Breweries focusing on Genuine Cider and not anything else! G6 was requested to take their already well established brand to a new level online starting with a fresh new interactive and fun website incorporating their Social Media streams and quirkiness! Visit their site today, or even better.. try their amazing Genuine Apple Cider using the Cider Finder!